Can A Creditor Who Doesn’t File A Bankruptcy Proof Of Claim Be Denied Chapter 11 Voting Rights? When in doubt, file a claim. This is the take-away lesson from a recent bankruptcy court case coming from Nebraska. Proofs of claim in a Chapter 11 case are handled somewhat differently than those in Chapter 7 or Chapter 13 cases. Under Fed. R. Bankr. P. 3003(b)(1) and Section 1111(a) of the Bankruptcy Code, a creditor is permitted to have an allowed claim without actually filing a proof of claim with the bankruptcy court (provided, of course, that the claim is not otherwise disputed, contingent, or unliquidated). A recent court case from the District of Nebraska, however, interestingly ruled that a creditor who failed to file a timely proof of claim was unable to vote on the debtor’s Chapter 11 plan. This was so even though the plan sought to modify the creditor’s claim. The case in question is In Re Woodward (D. Nebraska, case number 11-40936, from April 2014). The debtor here argued that the plan was eligible for confirmation under Section 1129(a)(10) because an impaired creditor had voted in favor of the plan. An objecting creditor argued, however, that no “class” of impaired claims had accepted the plan as required by Section 1129(a)(10). The bankruptcy court was particularly irked by the fact that the objecting creditor had not filed a proof of claim. Under Section 1126(a) of the Bankruptcy Code, a creditor is entitled to share in plan distributions as a result of being listed on the debtor’s schedules (even if the creditor had not filed a claim). But this was not good enough, the court believed. Under Section 1126(a), the only parties entitled to vote on a Chapter 11 plan are holders of claims or interests which are allowed under Section 502. Unfortunately for the objecting creditor, a look at Section 502(a) specifically calls for claims or interests to be “filed under Section 501…” Using this reference bank to Section 502 and 501, the court interpreted Section 1126(a) as restricting voting to creditors who have actually filed a proof of claim. In other words, when it comes to voting, there is a big difference between scheduled claims and filed claims. A harsh ruling? Perhaps. It is odd that the court did not consider Section 1111(a) of the Code, which states that a proof of claim is “deemed filed” under Section 501 if it appears on the debtor’s schedules (unless that claim is contingent, disputed, or unliquidated). Looking at Section 1111(a) give one the impression that the ruling here may have been unduly harsh. In addition, it appears that the court could have used its (limited) equitable powers to find an imputed or constructive proof of claim from any of the creditor’s previous filings. This, however, did not happen. F.R. Bankr. P 3003, after all, specifically states that a Chapter 11 creditor does not have to file a claim. The rule in Woodward is not the majority view, it should be noted. It seems that the court looked more towards the circumstances of the plan as a whole, and the need for a plan to be confirmed that had little opposition. Taken as a whole, it seems to be bad precedent. The weight of authority recognizes that Chapter 11 creditors are not required to file claims in order to assert their voting rights under a proposed plan. 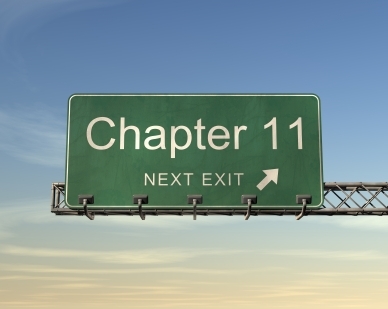 But this case illustrates an important point that we would do well to bear in mind: if you are a creditor in a Chapter 11 case, it is to your advantage to participate in the case by keeping informed of developments in the case, and filing a claim. When in doubt, file a claim, even if you are not required to do so. Sleeping on your rights benefits no one except the opposing party. This entry was posted in Business Bankruptcy in Kansas City, Chapter 11 Bankruptcy in Kansas City and tagged chapter 11 proof of claim, chapter 11 voting by bankruptcyinfokc. Bookmark the permalink.